As you all know now days apps from Xperia Honami i1 are being leaked by developers daily though Xperia Z Ultra has been launched officially and we haven’t see a single leak from it yet and the leaks are coming from very much rumored device Xperia Honami i1. Previously we posted some of the apps from Xperia Honami and Z Ultra as mentioned below, you can install them if you haven’t yet. 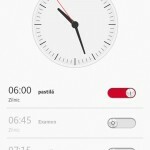 SemcConversations, SemcClock, SemcCalendar and Album app has been successfully ported on Xperia S LT26i and Xperia SL LT26ii Jelly Bean firmware. 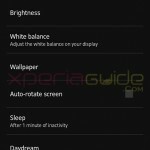 Sony has used a new UI for Xperia Honami i1 this time with a white themed background User Interface. 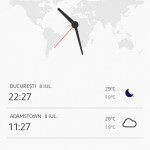 Xperia S, SL – Tested. 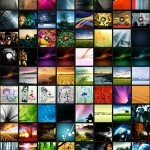 Xperia U, P, Go, Sola, Ion and Acro S – should work on them also. Jelly Bean running on your device. 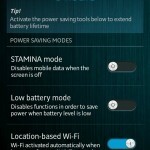 For Xperia S and SL users, you should be on Jelly Bean 6.2.B.0.211 firmware. 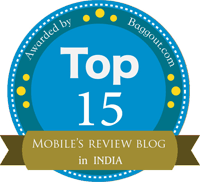 If you are not try installing it from given below link. 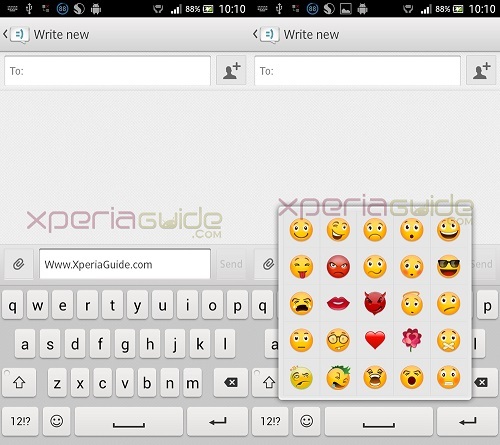 How to Flash Xperia S, SL Jelly Bean 6.2.B.0.211 World-India ftf file ? Rooted Phone is needed. 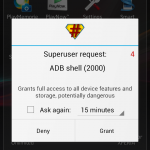 To Root your Xperia S, SL or any other above mentioned Xperia Device, please use DooMLoRD Easy Rooting Toolkit v15. DeOdex ROM needed, for some users “Conversations” apk didn’t work on Odex, so you can always try DeOdex ROM, otherwise for us they worked on both. 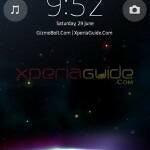 How to Deodex Xperia S, SL 6.2.B.0.211 Jelly Bean Odex stock ROM ? 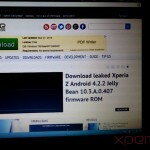 How to Install CWM Recovery v6.0.3.0 on Xperia S, SL, Acro S,Xperia Z, ZL Jelly Bean on LOCKED bootloader – Supports other Xperia Devices also. Do make a backup of Conversations, SemcClock, SemcCalendar and SemcAlbum apk of your current ROM in case the below apps do not work you can get them back. 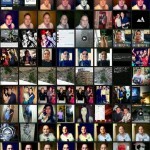 Download the Xperia Honami apks from below. First try all above apks installing just like normal apk over the existing ones. If it shows error in this method then try step 2. Push all above apks to system/app and set permissions as rw-r-r.
After installing them clear the data of the particular app by going to settings > apps > all > Clear Data of that app. Mandatory step or you will get Force Close error ( FC ). P.S. Conversations and Alarm apk works perfect installing over the existing one. Push Album and Clock apk to system/app. 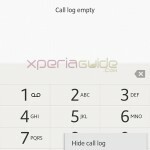 How to Enable Speed Dial Option in Xperia S, SL Jelly Bean firmware ? 19 Comments so far. Feel free to join this conversation. Conversations are not worked for me. Others are ok. Thank you. Can’t upload screenshot by mobile. Will upload When I will on pc. 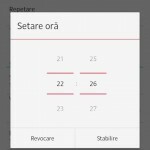 Did you try both methods for conversations apk installing ? Hi, Conversations doesn’t work on X SL either. I tried both the methods. Still doesn’t work. When I push the file to System/app, and when I try opening the Messaging app, it says, application not found. When I install it like a normal .apk, it simplys says ‘Application not installed’. Can you suggest where I went wrong. The other .apks work just fine. Please roll back to your old conversations file. well it worked for us on Odex ROM also….as it has worked for you in DeOdex, we are adding it 🙂 Thanks. Conversation works fine on my xperia neo v ics uhd rom. Havent tried the others. all apps are works great on Xperia Acro S JB .96 rooted+CWM installed Deodexed rom. I can’t did it. When I try to move apk to system/app, it says operation failed. help please. Are you rooted ? How are you performig it ? yes But nothing happened. My clock app is still the same. I tried first step but it show error then I tried 2 nd step. I used root explorer to move apk file to system/app but operation failed. not wokring on my xperia s. I am afraid to test it again. 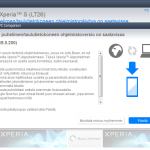 working on xperia J jb 4.1.2 ? i got a problem… i installed this honami messaging but i don’t like the color so i want to revert the old one. the problem is. i cannot install the old conversation apk. how do i fix, “Application not installed” error?